There are many critics on Samsung’s lack of innovation. Galaxy S4 probably disappointed quite a lot analysts. But the strategy of packing bells and whistles, and utilizing the almost-unlimited marketing budget still make Galaxy S4 the most successful smartphone in 2013. No other Android phones can challenge it: HTC One, Moto X, Sony Xperial X, LG G2. Galaxy S5’s biggest competitor is Apple iPhone 5s, or maybe the rumored iPhone 6, not any Android phones. Apple will definitely not use curved screen in 2014. 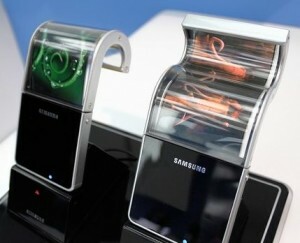 So, why does Samsung change to flexible display? Samsung is good at cost-control probably because they started as a provider of budget alternatives. For example, they always use plastics for smartphones and tablets. Yielding capacity is often used as an excuse, because everyone knows Apple never has issues with yielding capacity from glass to aluminium. Now Samsung can even sell plastics for premium price thanks to its marketing strength. The company culture probably will not change so fast. Curved screen definitely costs more. So, if you plan to have a same price tag of Galaxy S4 (because most consumers know how much are expected for a flagship smartphone) , you surely will not want to increase the cost unless the competition is so fierce. The saved cost will be added to marketing which eventually can convert direct sales. So, very unlikely, we will see a Galaxy S5 with a curved screen. Flexible display surely has a future for smartphones, But the problem is that we do not know how to benefit from it.